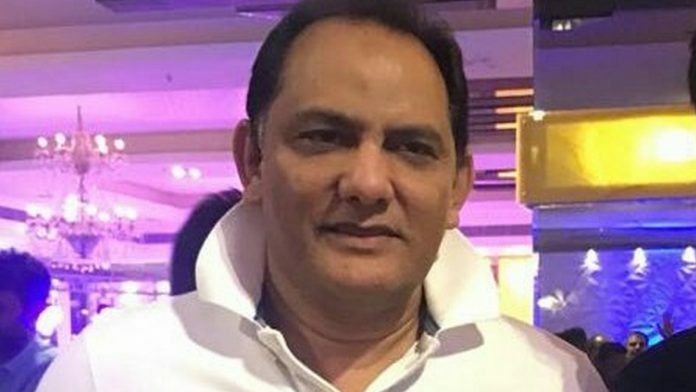 Bengaluru: Former India cricket captain-turned-politician Mohammad Azharuddin is considering quitting the Congress and joining the Telangana Rashtra Samithi. Senior Congress leader Abid Rasool Khan, known to be a close associate of Azharuddin, recently quit the Congress after 32 years to join the TRS. He told ThePrint that Azharuddin had conveyed his displeasure at the way he was being treated, and that the high command wasn’t stepping in to defuse the tension. Sources in the Congress have confirmed to ThePrint that Azharuddin, who belongs to Hyderabad, is extremely upset with the treatment meted out to him by the party’s Telangana leadership. Azharuddin entered politics in 2009 and was elected as MP from Moradabad, Uttar Pradesh. In 2014, he lost the Lok Sabha polls from Tonk-Sawai Madhopur in Rajasthan. He wanted to contest next month’s Telangana assembly elections from Secunderabad, Hyderabad’s twin city and the place where he made his name as a budding cricketer. But his proposal faced stiff resistance from senior Congress leaders. Anjan Kumar Yadav, president of the Greater Hyderabad City Congress, stood up during the meeting to screen candidates and announced that he would contest from Secunderabad instead. Yadav also reportedly challenged Azharuddin to contest from Old Hyderabad, which is the stronghold of Asaduddin Owaisi’s AIMIM. Azharuddin’s associate Khan, meanwhile, quit the party after he was not only denied a ticket, but was allegedly personally insulted by Bhakta Charan Das, the chairman of the screening committee, who did not even meet him after making him wait for 12 hours. “Azharuddin and I faced similar insults in the screening meeting. His candidature was met with resistance, so much so that his contribution was questioned,” said Khan. Sources also said Azharuddin was unhappy about the way the national party had sidelined leaders from the minority communities, especially Muslims. “Muslims form nearly 17 to 18 per cent of the population of Telangana. If they don’t have adequate representation when the tickets are being distributed, it’s clear what the Congress’ the priorities are today,” a source close to the former cricketer said. “Azharuddin could be a great image booster for the party, but they have failed to cash on it,” the source added. Another Telangana Congress leader agreed that Azharuddin was underutilised by the party. “Have you seen Azhar campaigning for the Congress? It’s quite clear that Azhar is miffed. He is supposed to be a star campaigner, and if you see the way things are shaping up, it may be just a matter of time before he quits the party,” the leader said on the condition of anonymity. But the Congress is still hoping that Azharuddin will stay on. “Azharuddin can be a fresh face for the Muslim community here in Telangana. Since the Congress has given him political life, we strongly believe he will be around to lead the party to the 2019 elections,” said M. Krishank, spokesperson for the Telangana Congress.